What Will $2,400 Rent You in San Jose, Right Now? First, check out this 720-square-foot, 1-bedroom, 1-bathroom spot that's located at 2480 Baton Rouge Dr. and listed for $2,395 / month. In the unit, you'll get hardwood floors, a dishwasher, a fireplace, a balcony and stainless steel appliances. When it comes to building amenities, expect on-site laundry, garage parking and on-site management. Neither cats nor dogs are welcome. According to Walk Score's assessment, this location is somewhat walkable, has some bike infrastructure and has some transit options. Located at 462 Box Leaf Court, here's a 712-square-foot, 1-bedroom, 1-bathroom abode that's listed for $2,350/ month. In the apartment, you can anticipate high ceilings, a dishwasher, in-unit laundry, carpeting, a fireplace, a balcony, a breakfast bar and closet space. The building offers garage parking, storage space and on-site management. Small pets are welcome. According to Walk Score, this location isn't very walkable, is somewhat bikeable and has a few nearby public transportation options. 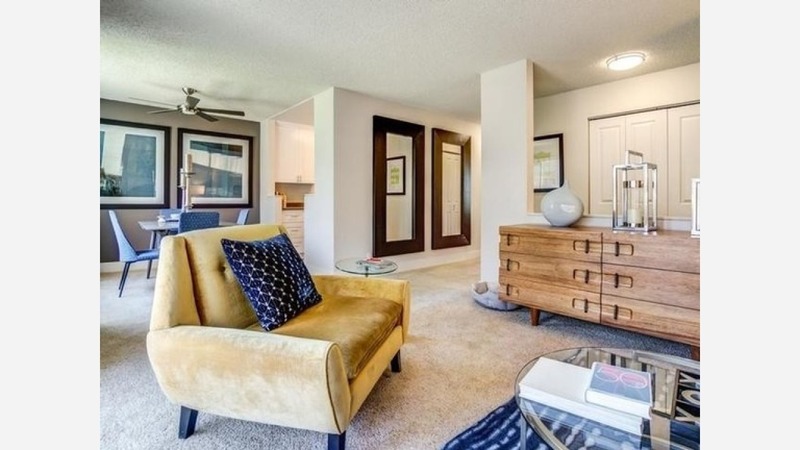 Listed at $2,320 / month, this 540-square-foot 1-bedroom, 1-bathroom apartment is located at 345 Village Center Dr. In the unit, you'll find carpeted floors, granite countertops, high ceilings, stainless steel appliances and a dishwasher. Pet owners, take heed: cats and dogs are welcome. Walk Score indicates that this location isn't very walkable, is fairly bikeable and has some transit options. Finally, there's this 1-bedroom, 1-bathroom apartment, located at 995 Tully Rd., that's listed at $2,320 / month for its 612-square-feet of space. In the unit, look for a balcony, a mix of hardwood floors and carpeting, stainless steel appliances, wooden cabinets, a ceiling fan and plenty of natural light. The building offers a swimming pool and a residents lounge. When it comes to pets, both meows and barks are permitted. Walk Score indicates that the area around this address is somewhat walkable, is fairly bikeable and has some transit options.